The special edition consists of four classic Halloween-themed films. The Historic Riviera Theatre in North Tonawanda announces a special Halloween Edition in their ongoing Throwback Thursdays Film Series, sponsored by M&T Bank. The special edition consists of four classic Halloween-themed films from the 1970s and ’80s that will make their return to the Riv’s big screen. These titles include Beetlejuice (1988), Young Frankenstein (1974), Ghostbusters (1984), and Little Shop of Horrors: Director’s Cut (1986). All tickets are only $3 when purchased with cash. Tickets can be purchased 24/7 on the Riviera website, or at the Box Office or at the door 30 minutes prior to show times on the evenings of the movies. All movies begin at 7 p.m.
After Barbara (Geena Davis) and Adam Maitland (Alec Baldwin) die in a car accident, they find themselves stuck haunting their country residence, unable to leave the house. When the unbearable Deetzes (Catherine O’Hara, Jeffrey Jones) and teen daughter Lydia (Winona Ryder) buy the home, the Maitlands attempt to scare them away without success. Their efforts attract Beetlejuice (Michael Keaton), a rambunctious spirit whose “help” quickly becomes dangerous for the Maitlands and innocent Lydia. Respected medical lecturer Dr. Frederick Frankenstein (Gene Wilder) learns that he has inherited his infamous grandfather’s estate in Transylvania. Arriving at the castle, Dr. Frankenstein soon begins to re-create his grandfather’s experiments with the help of servants Igor (Marty Feldman), Inga (Teri Garr) and the fearsome Frau Blücher (Cloris Leachman). After he creates his own monster (Peter Boyle), new complications ensue with the arrival of the doctor’s fiancée, Elizabeth (Madeline Kahn). After the members of a team of scientists (Harold Ramis, Dan Aykroyd, Bill Murray) lose their cushy positions at a university in New York City, they decide to become “ghostbusters” to wage a high-tech battle with the supernatural for money. They stumble upon a gateway to another dimension, a doorway that will release evil upon the city. The Ghostbusters must now save New York from complete destruction. For more information, please email info@rivieratheatre.org or call 692-2413. 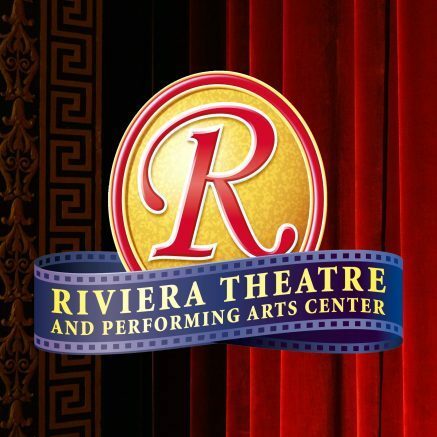 For more information on the Historic Riviera Theatre, please visit www.RivieraTheatre.org. Be the first to comment on "Riviera Theatre announces Throwback Thursdays Film Series, Halloween Edition"